This was THE perfect meal for our chilly day today! I LOVED it...SO easy and flavorful! I came across the blog Delicioius Dishes at some point while looking for recipes at the beginning of this week and this was definitely a winner! Stir in and let sit for 5 minutes. Serve with chips, avocado and cheese. 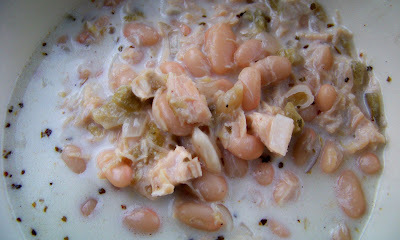 I am going to make this tomorrow...do you think it would work in a crock pot?